No, this isn’t a budget-end Audi sedan, not at all. True, it does look a lot like a shrunken A4, but there’s definitely a lot more than meets the eye. 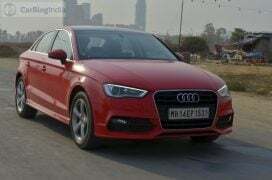 For starters, the smallest sedan in Audi India‘s lineup, the A3, spearheads the Ingolstadt-based premium car manufacturer’s charge in the newly formed Indian premium compact sedan segment. 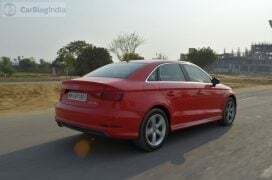 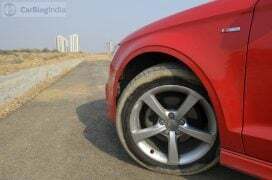 And then, much in line with Audi’s ‘Vorsprung Durch Technik’ tagline, the A3 sedan comes across as a technically advanced product that benefits from the same know-how that goes into the making of bigger Audi sedans. 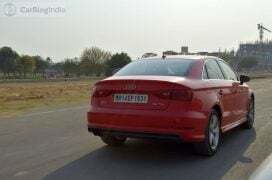 Built on VW’s highly flexible and much publicized MQB platform, the A3 sedan, in its Diesel-sipping guise, features the highly acclaimed 2.0 TDI engine along with an excellent DSG gearbox. Recently, we clocked some miles on a Shiraz Red Audi A3 35 TDI and and you can check out our Audi A3 sedan test drive review here to find out all we feel about this car’s Design, Comfort levels, Engine Performance, and Ride and Handling. 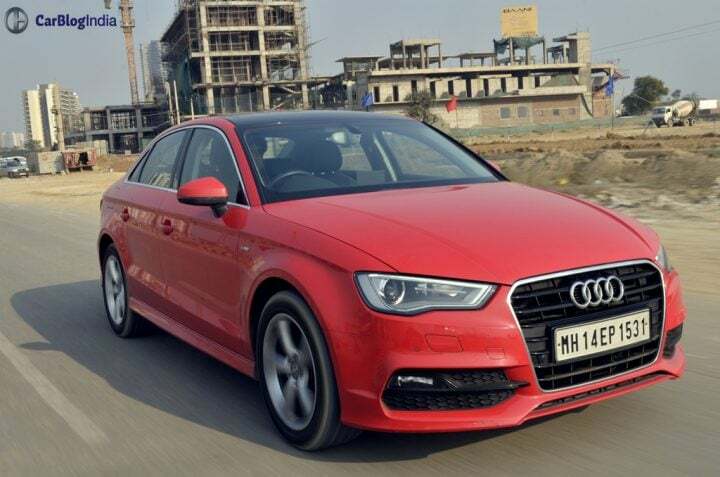 The A3 Sedan might share its design language with many other models in the manufacturer’s product portfolio, but thanks to a short wheelbase, short overhangs, and a wide track, the A3 sedan benefits from a rather sporty stance.The overall design is that of a cross between a traditional three-box and a coupe. Among the major highlights of this design is the signature “tornado line” design element that forms a distinct light-refracting edge running across the side of the car. Compared to the other A3 models available in the international market, the side surfaces of the A3 sedan are more intensively curved, and its wheel arches are more flared. 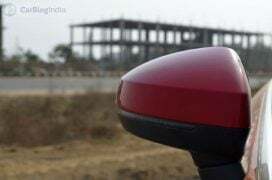 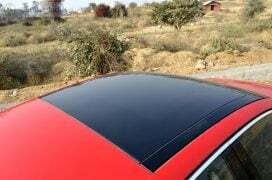 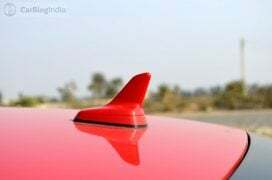 Not just this, the sedan also gets a differently contoured hood, slightly different bumpers and a spoiler that is neatly integrated in the boot lid. The sleek-looking taillamps emphasize the design’s horizontal lines with their broad and low cuts. 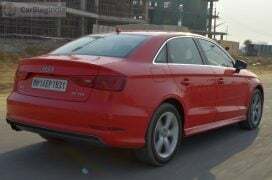 Overall, the A3 sedan, while retaining the traditional design language of other four-door models in Audi’s line up, still manages to look younger, fresher, and more athletic. 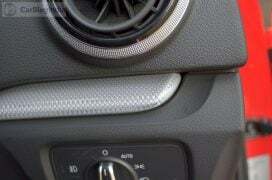 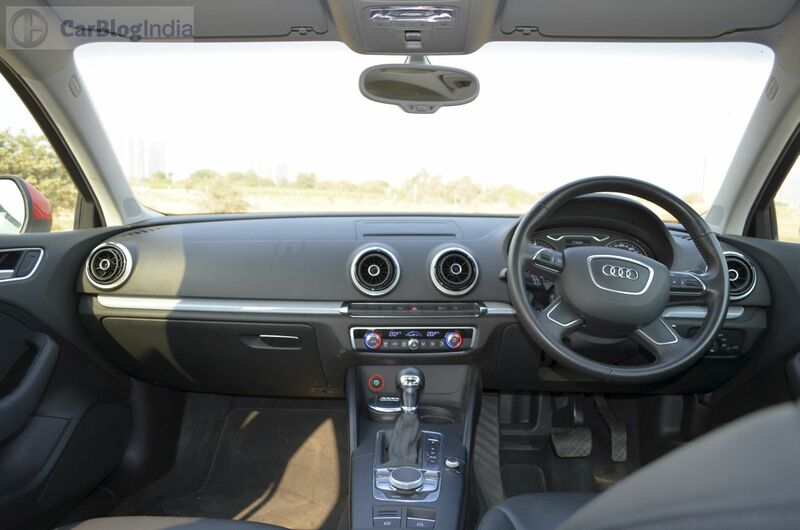 Unlike what one might expect, the interior of this car isn’t a reflection of its exterior. 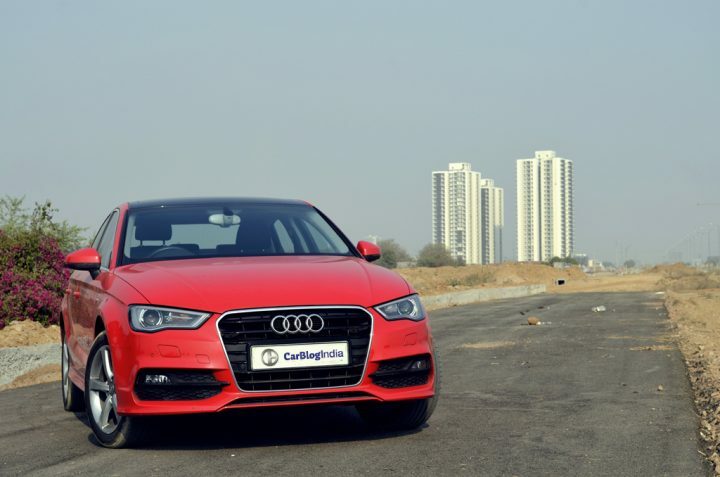 While it’s easy to draw a parallel between the exterior design of the A3 sedan and its three-box cousins, the cabin of this car is nothing like anything on other Audi sedans. 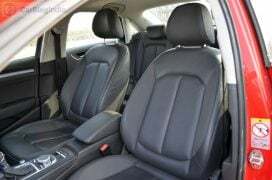 The only similarity that we can think of arises out of the high quality materials, excellent fit and finish and the impressive attention to detail. 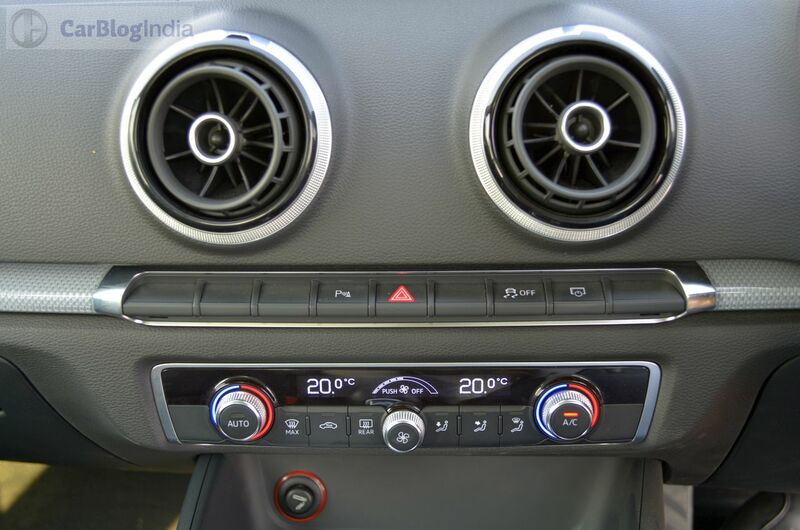 The dashboard is characterized by clean lines and round-shaped aircon vents that go on to infuse some sportiness with the design. 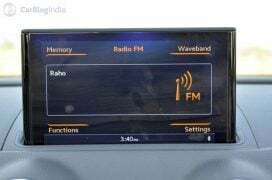 Another highlight of the dashboard is the electrically extending MMI screen which pops out at the touch of a button. 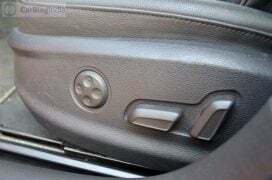 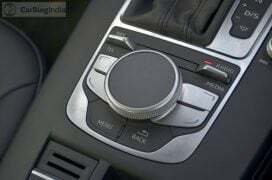 The four spoke steering wheel is a typical Audi unit and features buttons for telephony/MMI controllers. 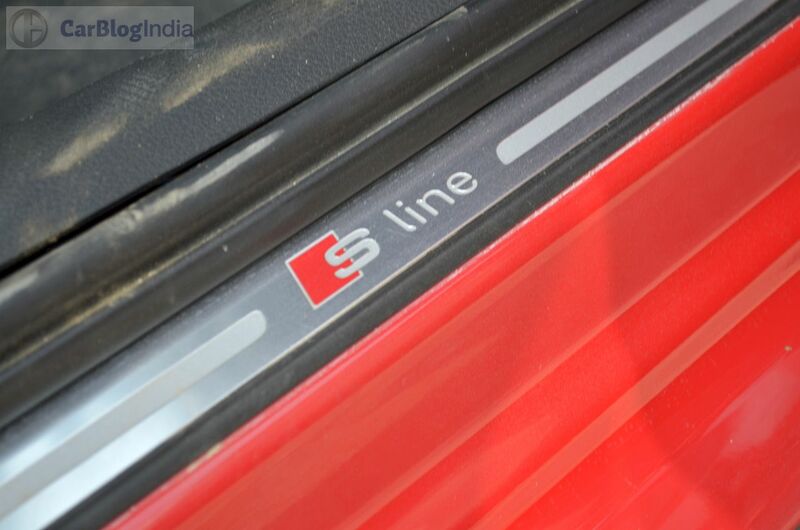 The S Line trim that our test car came equipped with immerses the cabin entirely in black, all of which enhances the sportiness quotient of this car. While there’s ample space at front, leg space at rear is at premium. The A3 is not meant to be chauffeur-driven and the (low) legroom at the rear is a clear reflection of this fact. 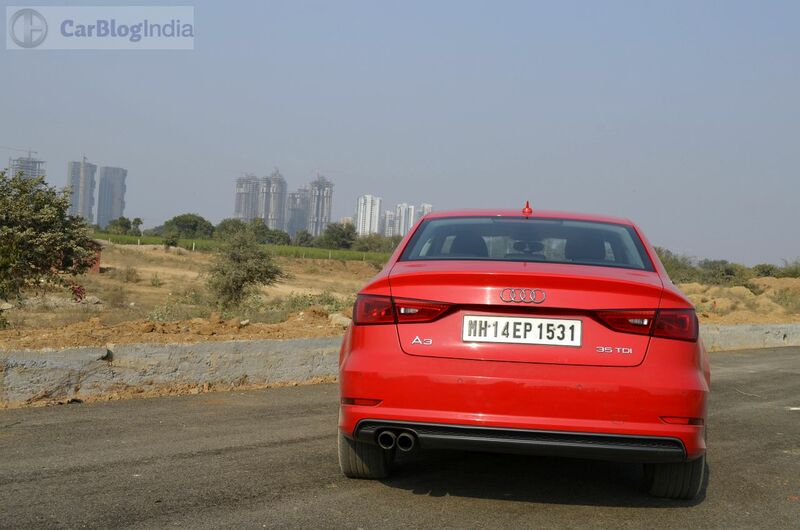 The boot space, at 425 litres, however, is only a little short of the A4‘s 490-litres. 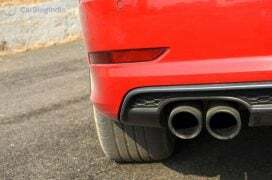 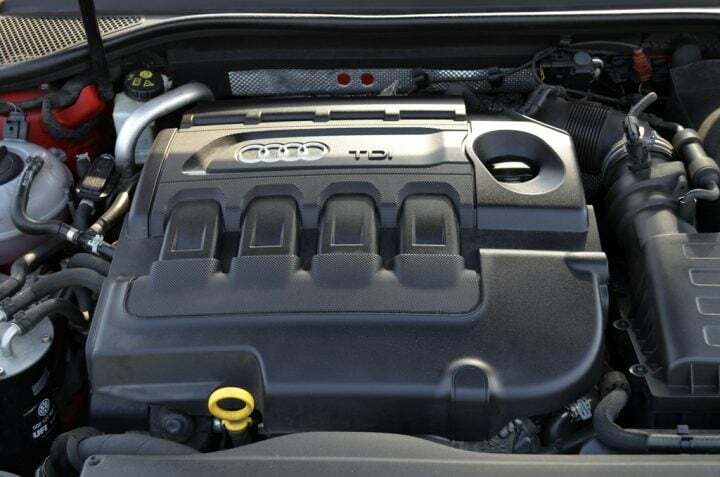 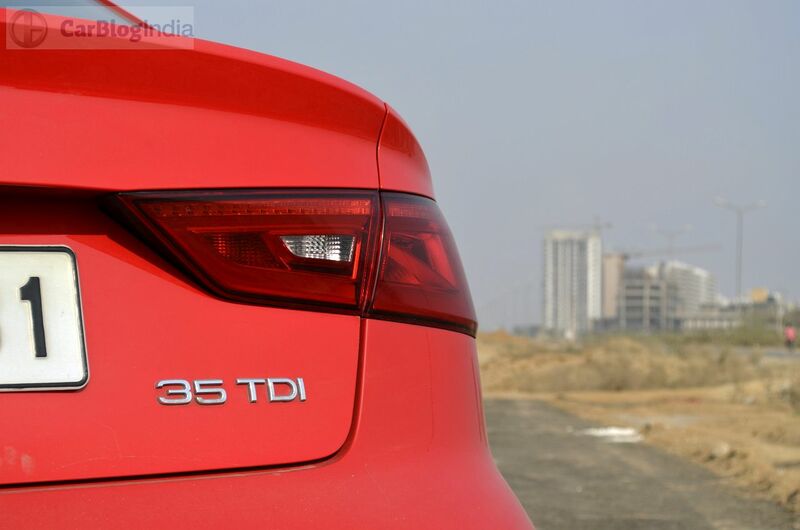 The Diesel-sipping A3 sedan gets one of the most highly acclaimed engine-gearbox combos of present times – a 2.0-litre TDI that is mated to a 6-Speed STronic dual-clutch automatic transmission. 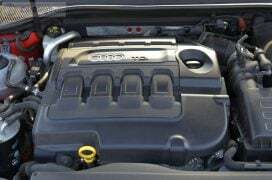 The motor has been tuned to churn out a max. 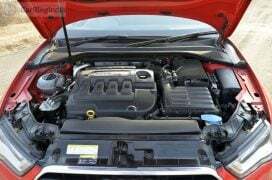 power of 143 PS between 3500-4000 rpm and a peak torque of 320 Nm between 1750-3000 rpm. 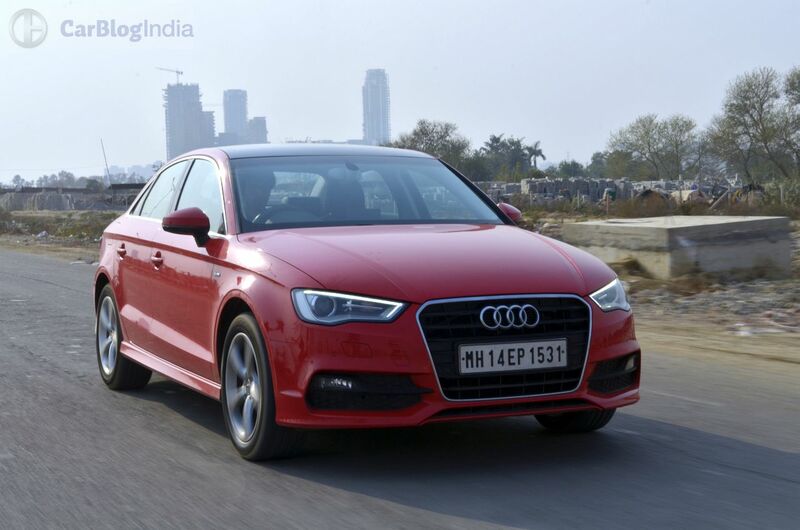 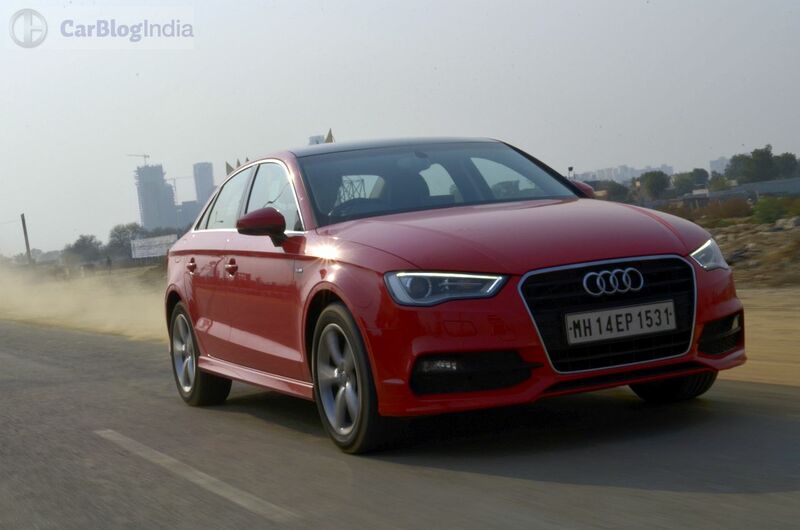 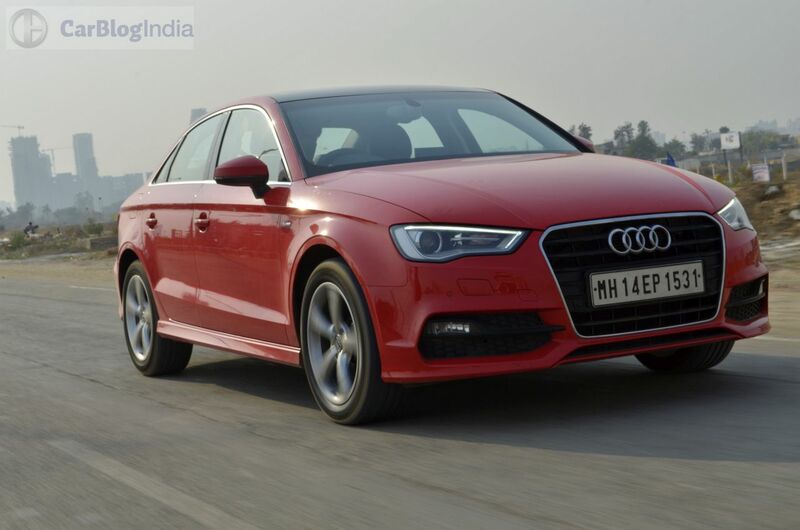 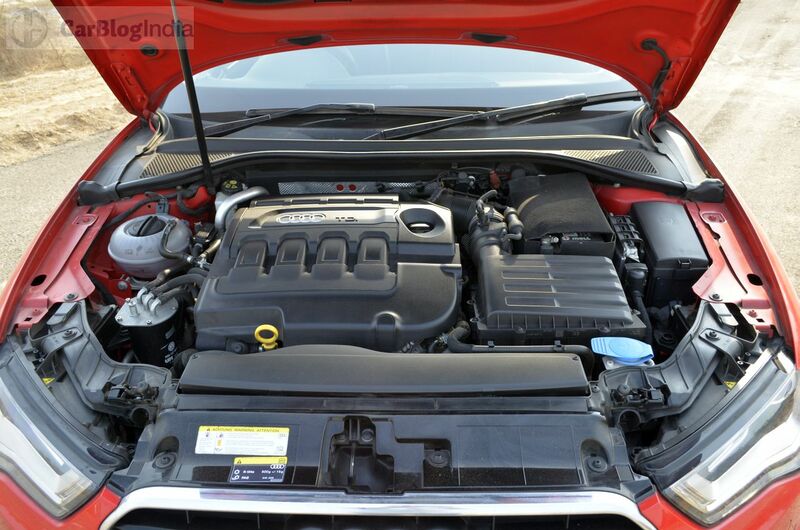 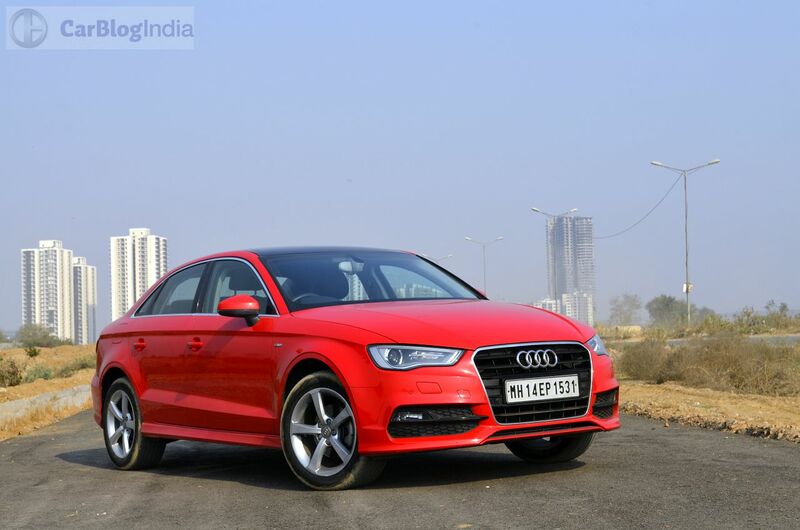 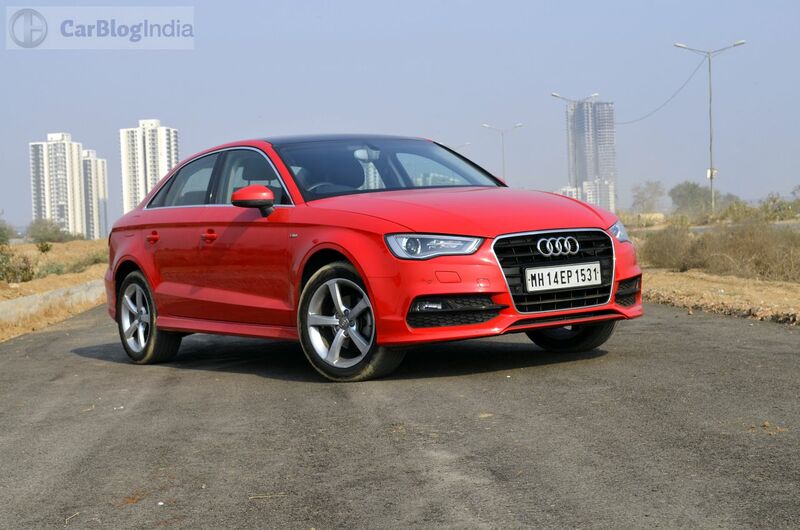 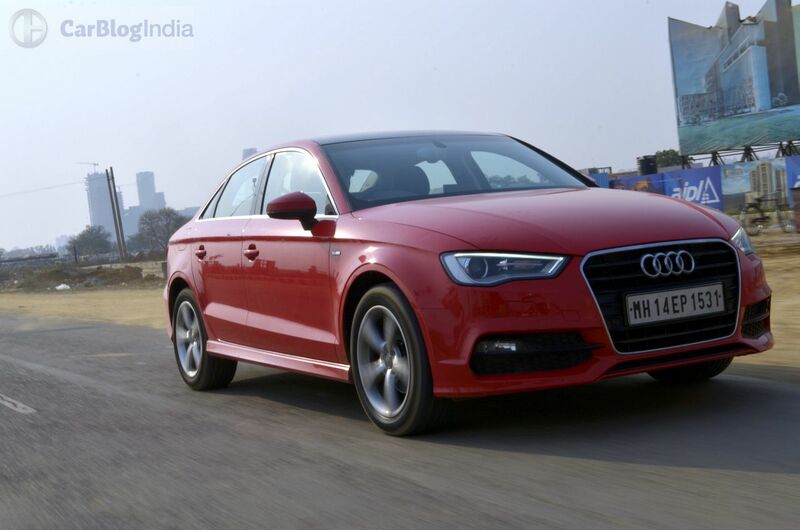 The A3 gets a front wheel drive layout and its ARAI-rated fuel mileage stands at 20.38 km/l. 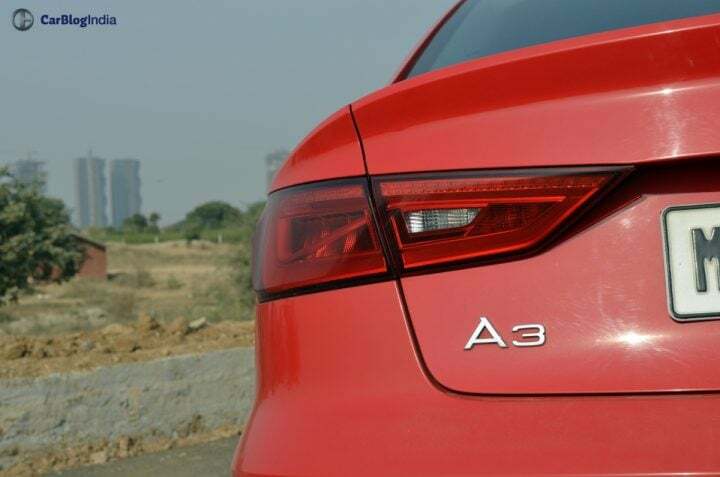 The A3’s oil burner is a pretty free-revving unit and exhibits a sense of urgency with the way it goes about its business. 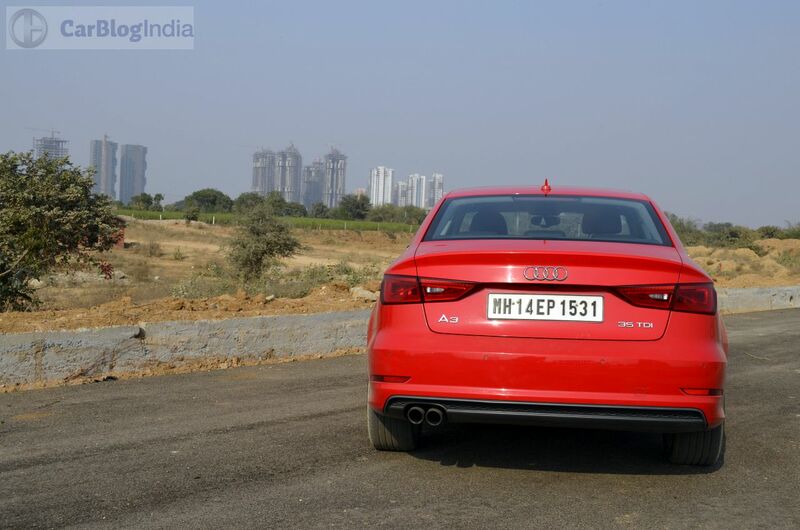 There’s almost no turbo-lag and the A3 Diesel pulls cleanly from even below 1,500 rpm. 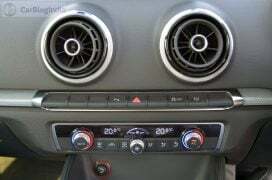 Another highlight here are the very well-controlled NVH levels. 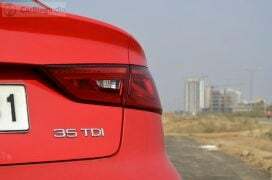 As we’ve been saying, the Volkswagen Group’s TDI engines and dual-clutch transmissions make for really compatible partners and our belief got only stronger behind the wheel of the A3 35 TDI. Select the ‘S’ mode, floor the gas pedal, and the A3 charges forward with great urgency. 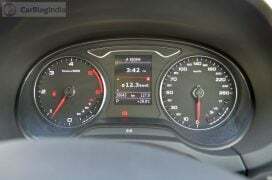 We reckon that 100 km/h from standstill should come in roughly 9 seconds. 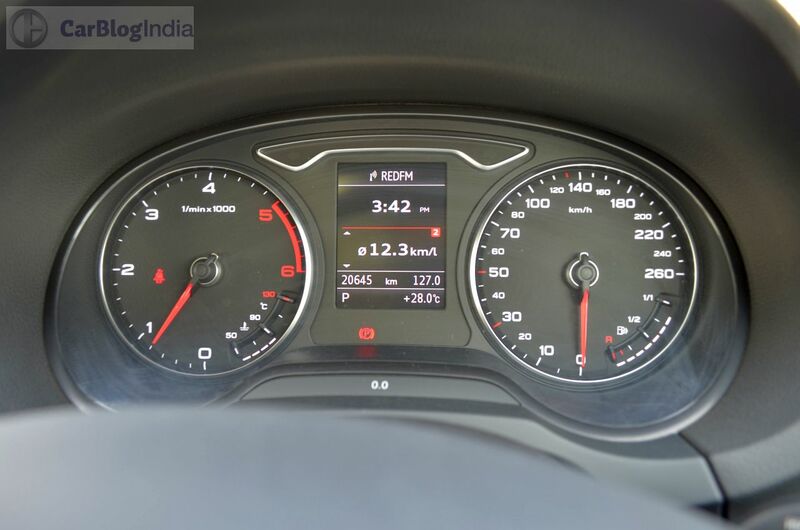 Progress is rapid till 160 km/h and this car can easily register a top speed of above 190 km/h on the speedo. 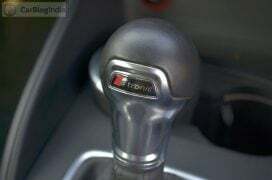 Lest we forget, the shifts are seamless and the transmission is responsive to even the minutest of changes in the throttle inputs. 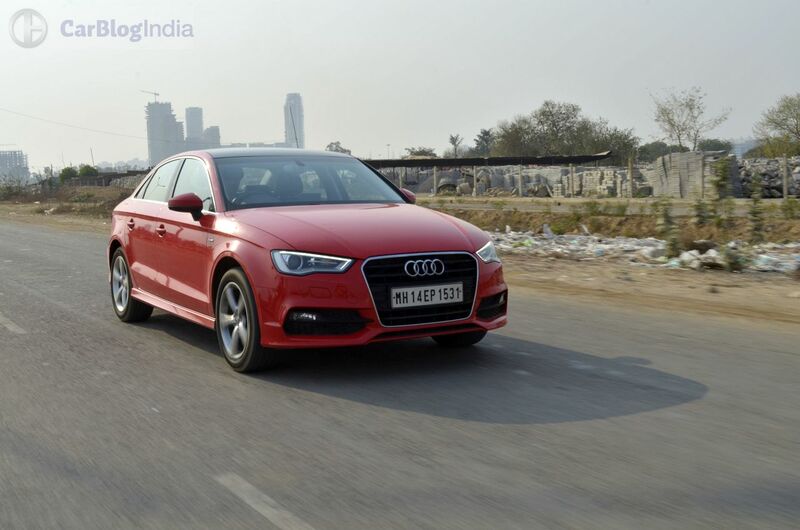 The A3 impresses us with its great ride and handling balance. The handling is a tad light-footed and the steering is playful in a way that can’t be matched by any other Audi sedan available today. There’s enough grip on offer and in spite of a FWD layout, understeer is almost conspicuous by its absence. 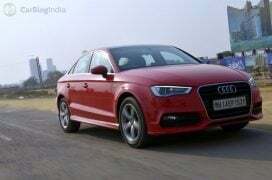 The ride is slightly on the stiffer side, but the A3 does dismiss most of the undulations without any fuss. 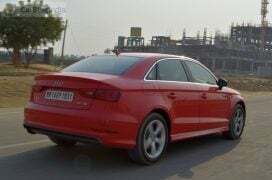 Even the slightly bigger potholes don’t disturb the composure of the A3 and only the really jarring thuds filter into the cabin.The A3 holds on to its line really well and feels very confident in high speed corners. 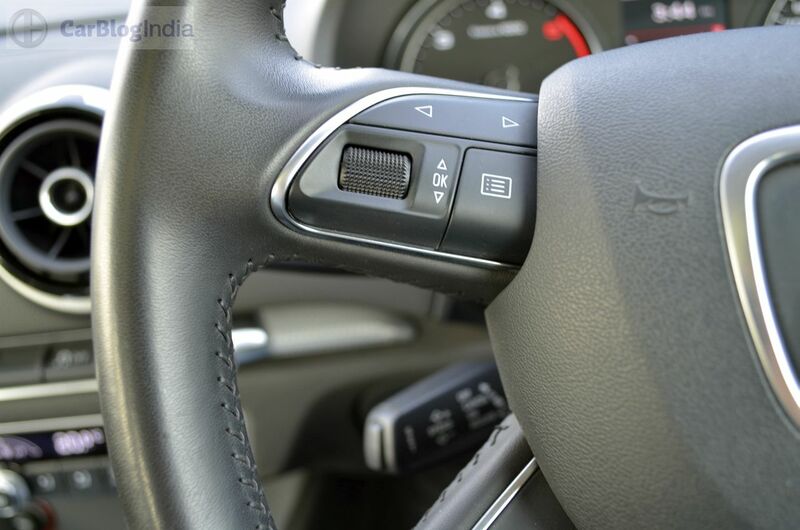 Even the steering manages to offer some feedback and weighs up pretty well with speed. Braking is strong and the brakes are potent enough to haul down this car from high speeds without breaking sweat. 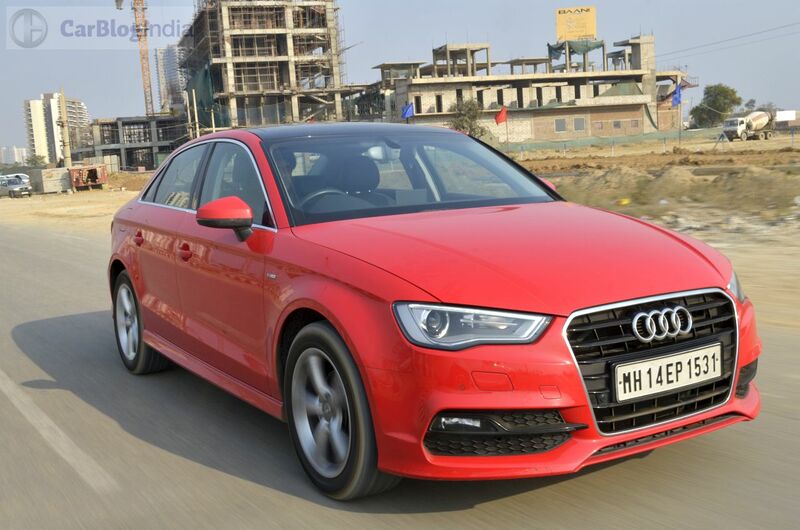 The Audi A3 35 TDI doesn’t come cheap. On sale at roughly INR 35 lakhs, this car is priced pretty close to the bigger and more premium A4. 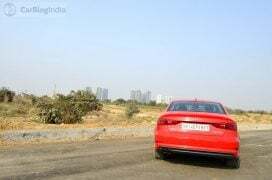 Furthermore, the A3 doesn’t make for the best of chauffeur-driven cars in its price segment and we really don’t recommend the A3 to those who like to spend a lot of time in the backseat. To the self-driven, however, the A3 will come across as a really capable machine that feels sportier than almost all of its pricier cousins and yet, offers a similarly compliant ride along with high comfort levels. True, there are some glaring omissions from the features list (read: Push Button Start/Stop, Keyless Entry), but some minor issues apart, the A3 does make for a very capable, albeit a slight pricey, compact sedan that benefits from modern technologies and its manufacturer’s long experience of making world-class premium cars. Look no further if you are in the market for a fun-to-drive and a sophisticated compact premium sedan that also offers high levels of passenger comfort. 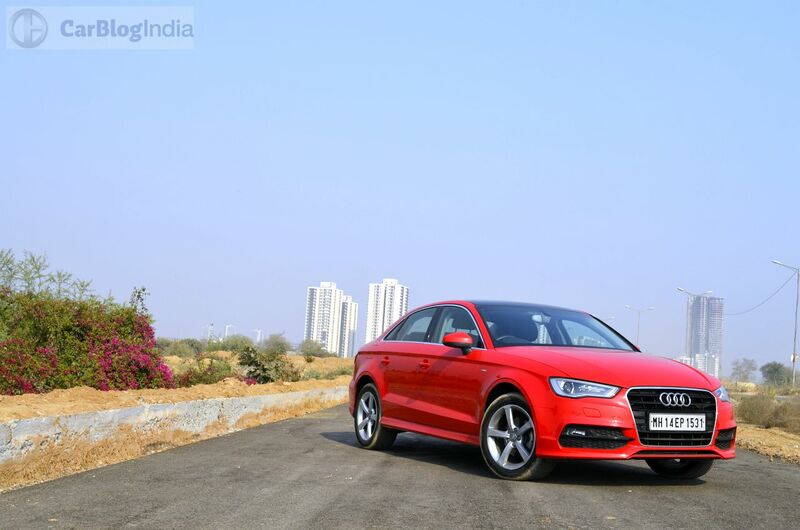 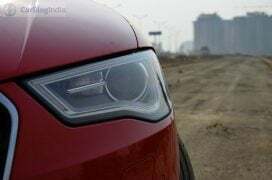 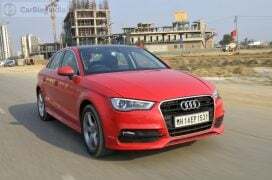 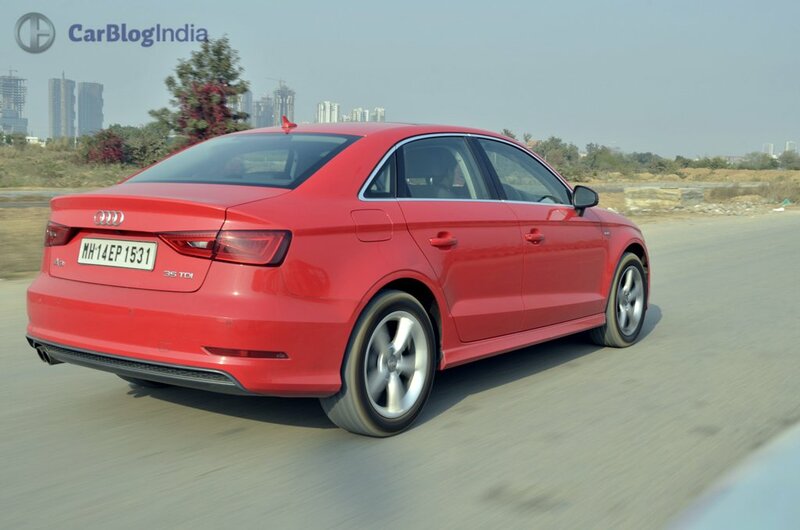 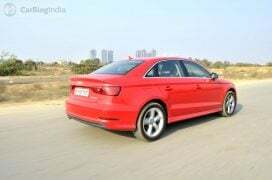 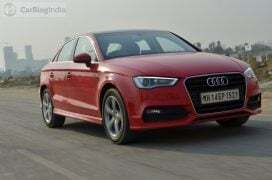 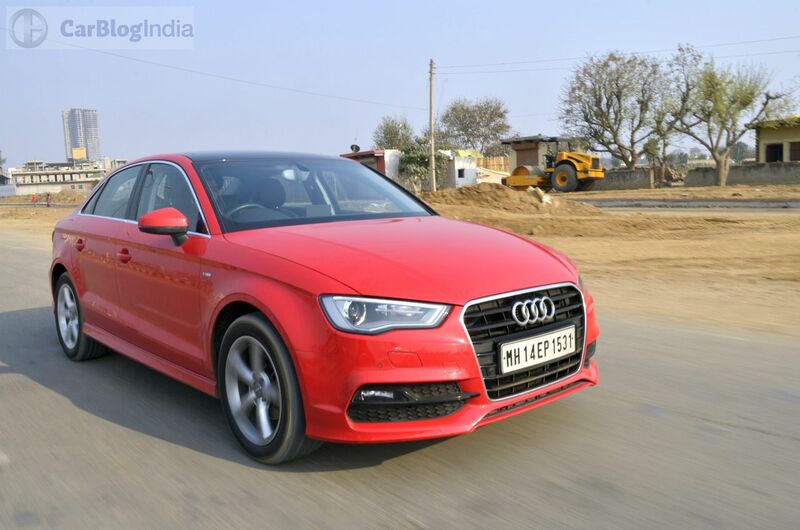 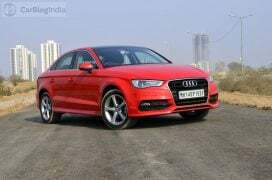 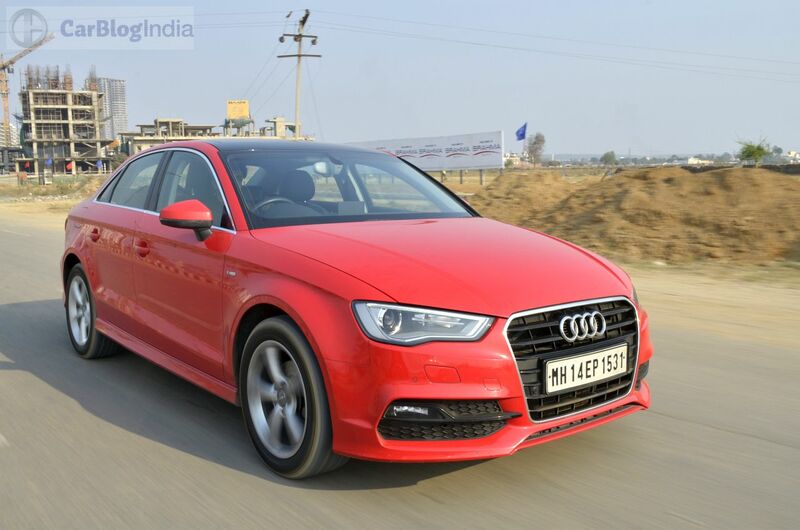 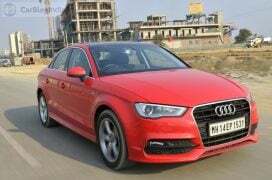 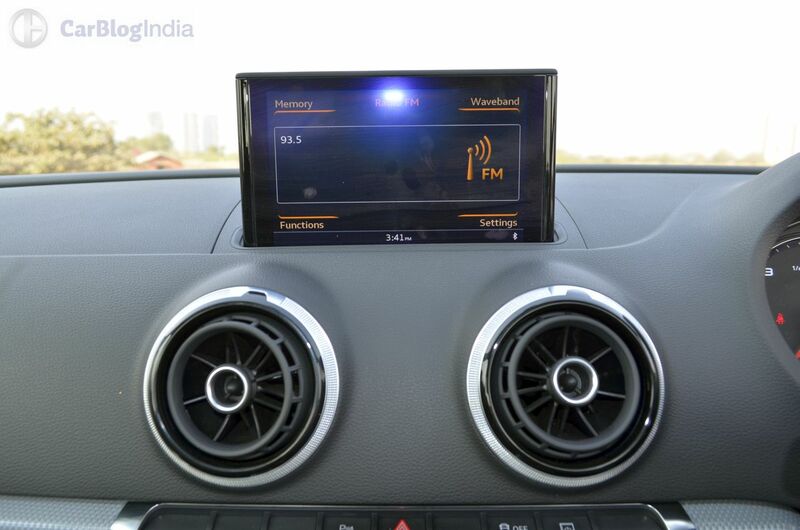 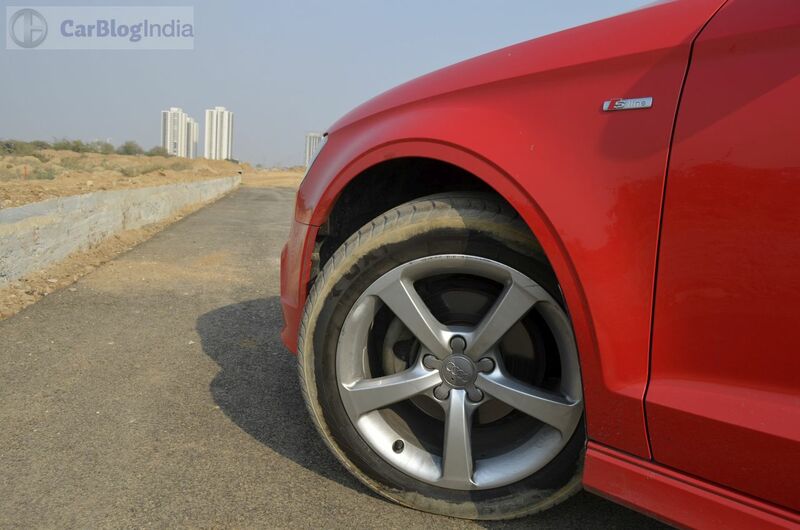 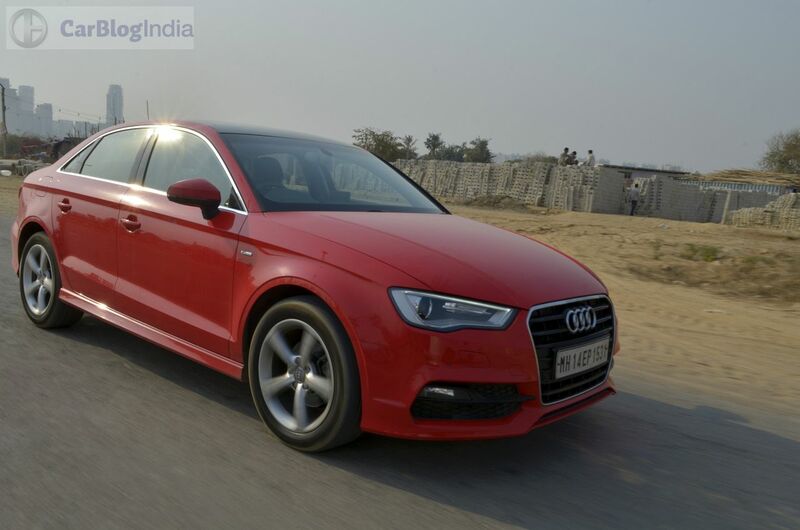 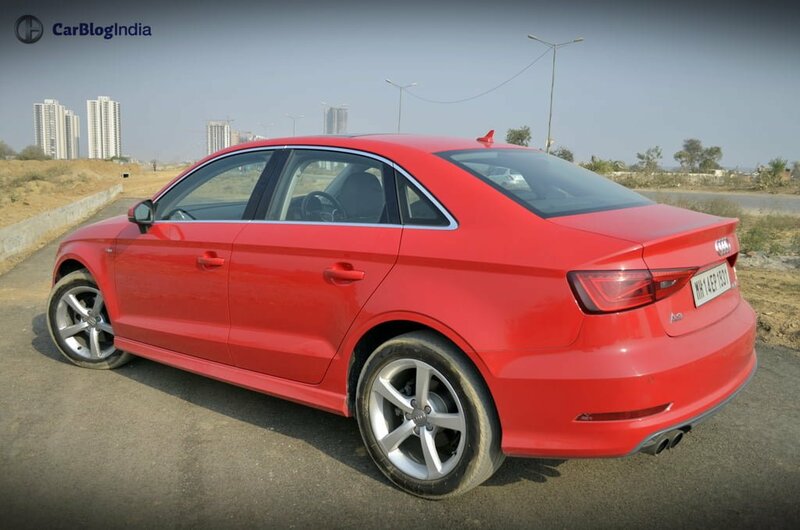 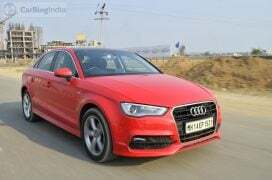 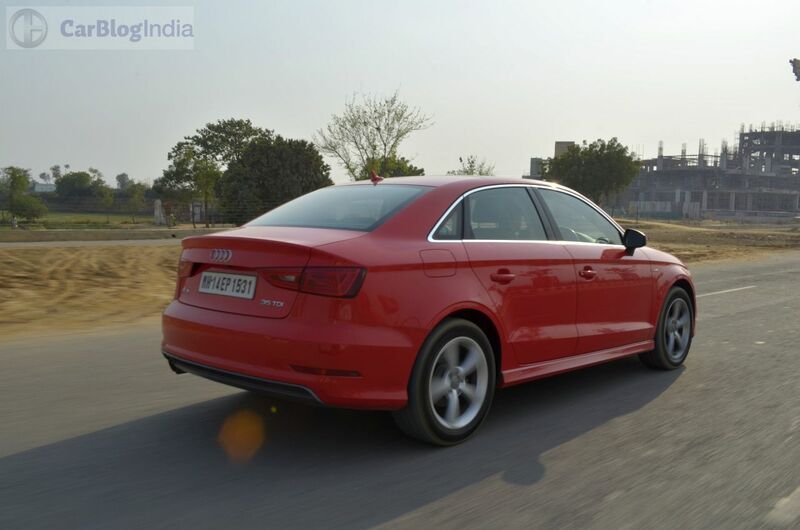 Stay tuned to Car Blog India for more posts like the Audi A3 Test Drive Review here. 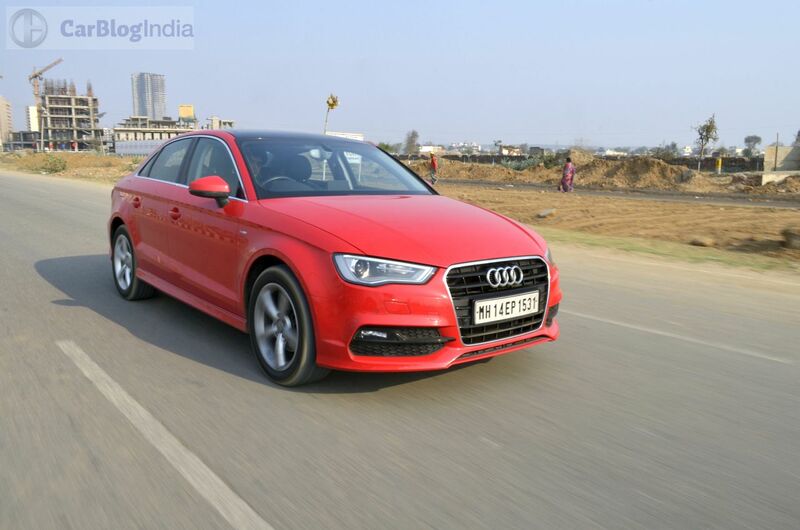 Also, what do you have to say about our Audi A3 Test Drive Review? 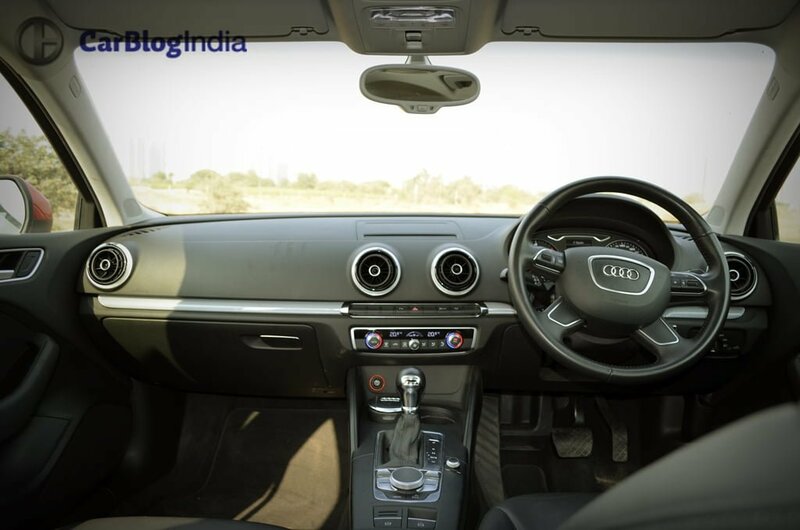 Do share your thoughts by penning them down in the comments section below.